Steve Cobby is a British producer musician, composer, and DJ, based in Kingston upon Hull, Yorkshire. He is best known for being part of Fila Brazillia. After disbanding his first commercially released band Ashley & Jackson on Big Life records, he co-founded Fila Brazilliawith David McSherry in 1990. Together they released 10 critically acclaimed lp's and produced over 70 remixes for artists as diverse as Radiohead, Busta Rhymes, Black Uhuru, Simple Minds, James, A Certain Ratio and Moloko. He formed Pork Recordings with David Brennand in 1990 then 23 Records in '99 with Sim Lister and David McSherry and finally Steel Tiger Records in 2006 with Lister. More of an umbrella for his various projects than a label per se. His other writing and production collaborations include Heights of Abraham; J*S*T*A*R*S and The Cutler. He's released two solo lp's as The Solid Doctor : How About Some Ether and Beats Means Highs. A third, entitled "Saudade" was released on his own imprint Déclassé in March 2014. Numerous remixes, from Harold Budd and Theoretics to Jon Kennedy and Yesking have been undertaken in a solo capacity. Fabric nightclub has played host to many Cobby DJ sets and this was rewarded with an appearance on Fabric 18 alongside fellow Hull alumni Bobby Beige and Bliss. He co-produced Afghan Whigs frontman Greg Dulli's debut solo l.p. 'The Twilight Singers' in 2000 and co-wrote and produced 'Three White Roses and a Budd ep with Bill Nelson and avant garde American composer Harold Budd. He's worked with Darren Emerson on his solo lp, in an engineering and writing capacity. His collaboration with Cabaret Voltaire’s Stephen Mallinder is under the guise of Hey Rube. Adam Regan from Different Drummer Records and Leftfoot promotions in Birmingham is also a regular collaborator. Their project, 'Chieftain'. Cobby has DJ'd in many places around the world including Croatia, Sydney, San Francisco, New York and Tokyo. He has performed live in Europe, Japan and the United States. Presenting their AV show in the stunning St Mary's Parish Church Plaid headlined our Saturday night programme. Plaid sit right at the very heart of global electronica. In fact there’s a very real sense in which Ed Handley and Andy Turner are the perfect encapsulation of what the electronic music of their generation was all about. As Plaid and as two-thirds of The Black Dog alongside their WARP stablemates Autechre and Aphex Twin, they brought new rhythmic variation, emotive melody and sensual textures to electronic music, creating a warm and welcoming counterpart to the white heat of the rave explosion. Which leads us to The Digging Remedy. All the elements that first inspired Ed and Andy are there – ecstatic Detroit chords in “CLOCK”, a brilliantly swinging hip hop beat in “The Bee”, Kraftwerkian electro jitters in “Saladore” – but everything is bigger and broader in scope, more luxuriant, more gleaming with detail, and there are fascinating new additions. The synth chords of “Melifer” and “Wen” engage in counterpoint with acoustic guitar ripples that sound almost New Age. A spiralling, unfolding flute melody in “Lambswood” creates a downright mystical air, like you’re hearing a shamanic ritual from a lost continent. But though the production values are the very highest, none of this is slickness or high drama simply for its own sake, and never do Plaid engage in the crowd-pleasing vainglorious stadium bombast that is all too common in electronic music now. Of course they don’t – as they say: “in our opinion it should be the artists leading the audiences, not the other way round”. That’s something that could stand as Plaid’s motto, and the thing that’s kept them so very fresh over all these years, even as their aims and values remain just what they were at the start. With a one-on-one-off rotation policy and an endearingly haphazard approach to the DJ mix you never know what's coming next when they take to the decks. Famed for their wide-ranging musical tastes, boundless energy and infectious enthusiasm, this eclectic collective has brought good music and positive vibes to every crowd and venue they've partied with. Mixnots are well known across the UK, supporting luminaries: Norman Jay; Mr Scruff; 2ManyDJs; DJ Yoda; Wilkinson & MC Dynamite and Craig Charles. Their upbeat energy has earned them 5 consecutive years playing monster length sets at Glastonbury’s ‘Silver Hayes’ and appearances at Standon Calling no less than 9 times, plus forays into Creamfields, Isle of Wight, V Festival, Kendal Calling, Liverpool Sound City, Threshold Festival and Liverpool Disco Festival along the way. Plus, a once in a lifetime trip to Malawi, Africa to play at the fantastic Lake of Stars festival in 2009. After all swimming in Lake Malawi, they unfortunately came back with a lot more than just memories. When Steve Cobby and Russ Litten met back in 2014, something seemed to click. Music producer and DJ Steve (off of Fila Brazilia, J*S*T*A*R*S, plus a ton of other projects over the past 30 years) and writer Russ (Scream If You Want To Go Faster, Swear Down, and other ventures into poetry and spoken word) are both Hull cultural stalwarts. Now performing together as a duo, they bring Steve’s sounds together with Russ’ spoken word to create richly textured choons. Consisting of Icelanders Agnes, Halldór, Stefán and Kristján, Sykur (translation: Sugar) began in 2009 and quickly established a reputation for packing out parties with girls and boys looking for good times. So much so that Dazed and Confused described Sykur as “plucked from the top drawer, a morsel of such rare succulence that it is sure to gain attention even beyond the cordoning velvet rope that sequesters the art world’s N.I.P (Nearly Important People)”. Owl Project enthralled visitors by turning the Optikit in to an instument for a live performance at the Bury Sculpture Centre. Combining ideas from the Symphonium music boxes with more experimental techniques of optical sound developed in Russia during the early 20th century such as the Variaphone and the ANS Synthesiser Owl Project created OptiKit. The Symphonium music box was very fixed in its musical remit. The notes were set to a western scale and the sequences on metal disks, hard to change. In response we are developed a music box that can be reconfigured in a multitude of ways. Assembled from a bespoke kit of paper discs, synth modules, motors and fixings, Owl Project’s Optikit generates endlessly changing beats and rhythms. The mechanisation of sound creation began as soon as technology allowed it. In the nineteenth century, mechanical musical instruments such as barrel organs, symphonions, orchestrions, euterpeons and miniature music boxes proliferated. Equally marvelled at and loathed for their tinny, repetitive reproductions of classical pieces and show-tunes, these programmable machines can be seen as the ancestors of today’s electronic and digital instruments. A collaboration between artists Oli Rushen, Elliot Hingston and Ella Joy; Nányë is the brainchild of three progressive individuals and represents the fusion of their three vibrant compositional approaches. Based in London, UK, Nányë are working hard on their début EP and hope to have their first release in the summer of 2017. Their sound is a hybrid of electronic and acoustic, compared to John Frusciante, Floating Points, Shigeto, Bonobo and Portishead, with evolving, progressive sounds that create a foundation for lyrics that explore a philosophy of modern progressive living, and the baffling concepts behind existence. Bound by a love of electronic rhythm, the percussive and melodic voices of Nányë blend into a delicate instrumentation. The Sunday Boys opened the second evening of Enlighten Bury with a performance at the gallery as part of the 60/50 project. ﻿﻿﻿﻿The Sunday Boys was started by Michael Betteridge in January 2016 to give Manchester an inclusive choir for men in the city to socialise and learn to sing. The Sunday Boys is open to any one that has a male voice (vocally) and wants to sing in an inclusive and friendly environment. James is one of the 2 founding members of electronica act Paris XY. James’ new musical engagement bears more emphasis on the live and energetic aspects of electronic music. Combining the core driving elements of House and Techno with the complex organic atmospheres and euphoric melodic arrangements that were prominent in his previous works. 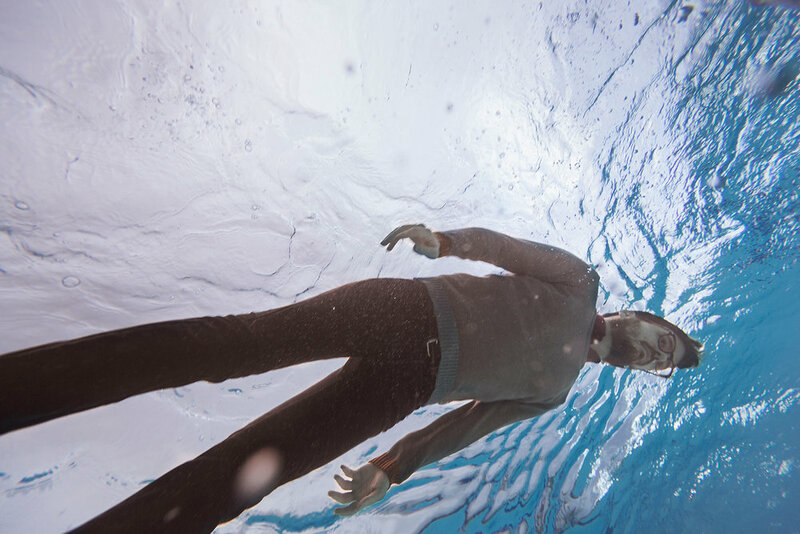 James takes direct influence from the worlds of Philosophy, Science and Spirituality utilising lucid dream states, sacred geometry and both western and eastern philosophies to form concepts for his songs and his emerging visual art. The curiosity of mind expansion and soul searching have brought an ever increasing depth and dimension to his work. He discovered that the act of making music induces similar states to those found in deep meditation and he seeks to pull the audience into a transcendental hypnotic state that results in social connection and euphoria. This year James stepped outside of his comfort zone to work alongside one of Hull’s most forward thinking theatre companies Middle Child. He provided a live electronic score for the award winning debut theatre adaption of Richard Millward’s Ten Story Love Song, which premiered at the Hull Truck Theatre and Edinburgh’s Fringe Festival. Previous projects have seen him tour Europe playing a string of festivals and iconic music institutions including the monolithic Berghain in Berlin. He has toured with the legendary Gus Gus across Poland and Germany and worked as a Sound Designer for the Swedish synth company Elektron. Recorded at Benge’s MemeTune Studios, Wrangler's latest album White Glue (released in September 2016) features 9 new tracks by Stephen Mallinder (Cabaret Voltaire), Phil Winter (Tunng) and Benge (John Foxx & The Maths). Their debut album, LA Spark (released in 2014) was described by Q Magazine as ‘creepy and brilliant, music you can dance to while looking over your shoulder. The best kind of music.’ According to Uncut, ‘LA Spark is a compelling listen with former Cabs vocalist sneering on the imperious title track. He’s still got it.’ Meanwhile, in June 2016 Wrangler released Sparked: Modular Remix Project. Filled with mixes by the likes of Mute founder Daniel Miller, Chris Carter from Chris & Cosey, Alessandro Cortini (Nine Inch Nails) and Scanner, it’s an expansive, sprawling canvas of analogue sound, spread across a double gatefold album and created exclusively on modular systems. The new album White Glue also has the 3-D depth of analogue (the ancient synthesizers in Benge’s MemeTune Studios have never sounded so good), but there’s less geek and more funk; more Mod than Modular in its tailored, minimalist design. Mallinder’s vocals are a surreal joy, smeared with effects and electronics as they change, chant and shift around the jump-cut lyrics. The opening trio of ‘Alpha Omega’, ‘Stupid’ (Mallinder in a new mutant funk-falsetto) and ‘Clockwork’ (a nod to Kraftwerk who famously name-checked Cabaret Voltaire as ‘brothers in popular electronic music’) sets up White Glue with the crisp crack and thud of sequenced rhythms and lush synthesizers. ‘Dirty’ starts like something from Forbidden Planet, pauses for a moment and then slams into a compelling funk beat with a bristling guitar riff courtesy of Julie Campbell (LoneLady). Other highlights include the white-light-techno-rush, triggered synths and chopped-up, multi-layered vocals of ‘Real Life and ’ ‘Colliding’, the spacey Krautrock closer - a beautiful, nuanced semi-instrumental song which exits with dreamy, abstract vocoder sounds and ambient synths. Over the last 3 years Wrangler have toured across the UK, Europe and Japan and recently played at the Royal Albert Hall as special guests of John Grant (15th June, 2016). They also joined forces with the US singer at an October 2016 show in the Barbican, London, where Grant and Wrangler played a unique new collaborative set as part of Rough Trade's 40th anniversary celebrations. 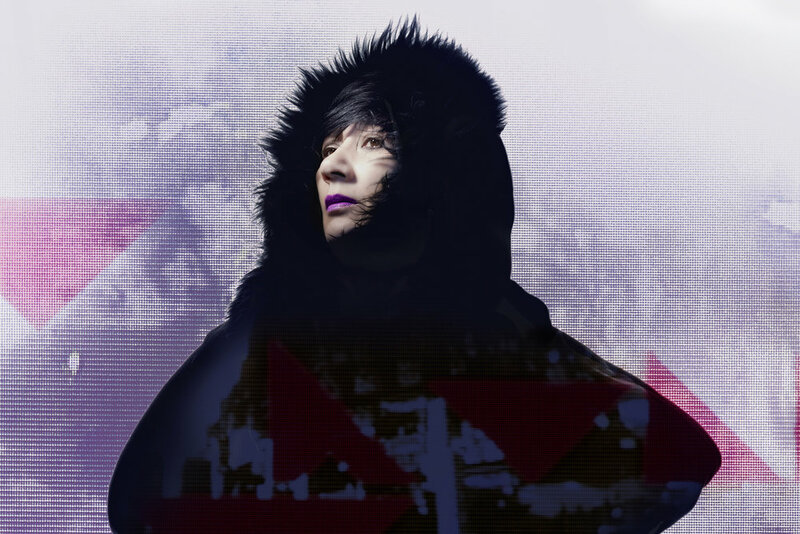 X-Ray Katt is a London based DJ and 1 sixth of renowned collective Mixnots. Having unlearned everything he understood DJing to be under the wings of his Mixnot comrades playing at festivals internationally such as Glastonbury, Lake of Stars (Malawi), Isle of Wight, Creamfields & Standon Calling plus many more*, X-Ray has developed his own solo style which picks the finest bits of nearly all genres (he's swerved Opera so far) and celebrates music in the non-pretentious ethos of Mixnots. This has gained him a name in his own right with residencies in London & Liverpool and solo festival gigs a plenty. Expect good music, mixed questionably, but always selected with integrity. *He is aware only one of these are international but at least Isle of Wight is off the mainland. The origins of ORKA date back more than a decade, when the band began crafting their own handmade instruments out of agricultural tools on a small farm in the Faroe Islands. From those humble beginning, ORKA have created a bold, cathartic electronic sound that has earned them fans around the world, and two nominations for the Nordic Council Music Prize. On the opening night of Enlighten Bury 2017 Felix and Plaid will perform an original new score with the newly commissioned machine, creating an ambient mixture of sound , light and machinery that will dazzle and excite the ENLIGHTEN Bury audience. Housed in the stunning gallery spaces of the Art Museum this unique experience promises to be a highlight of the festival and will accessible on a first come first served basis. The Northern Irish artist, singer and electronic composer and member of the The Magnetic North, Hannah Peel released her new solo album ‘Awake But Always Dreaming’ to great acclaim at the end of 2016, with Q Magazine describing the album as a ‘sublime electronic opus’ in their 4 star review. Tonik Ensemble is the musical output of Icelander Anton Kaldal Ágústsson. Exploring the vast expanse of the electronic spectrum the soundscape is a mix of electronics and the more organic live instruments. It is a strong signature sound of contrasts: rich and stripped bare, minimalist but intricate, finely crafted and yet very instinctive. The eight track album Snapshots was released early 2015 on Atomnation label, and was met met with critical acclaim earning Album of the year 2015 titles from The Reykjavik Grapevine, Straumur and album of the year award from Kraumur Music Fund. Emilio Pinchi is a 23 year old human being living in Liverpool. His music is ‘direct, hard hitting, witty, sarcastic, and full of self-deprecation’ (DervSwerve). Influenced by Elliott Smith and Courtney Barnett, his debut release ‘the Trying Man EP’ was recorded in a kitchen, aired repeatedly on BBC 6 Music, featured in Emmerdale, and was described by Tom Robinson as ‘a beautiful, authentic performance that never sounds like it’s trying too hard, yet carries absolute conviction’. Pinchi will be releasing new material and announcing live dates throughout 2017, with previous shows including an appearance at Liverpool Sound City, Threshold Festival, and support slots with Stephen Steinbrink and His Clancyness. 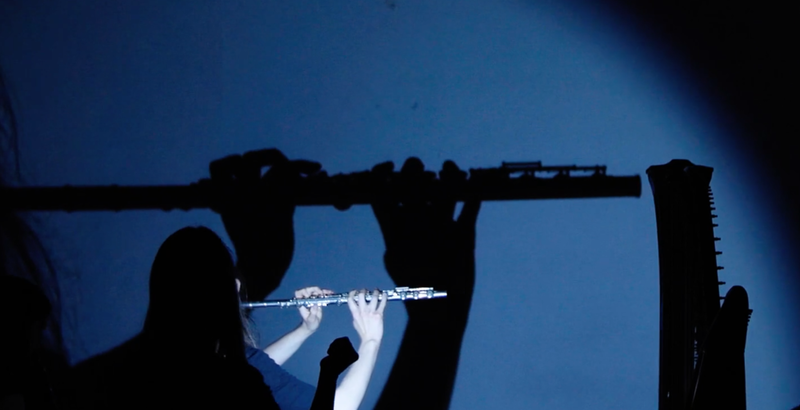 As part of the Handmade Sounds project, supported by the Nordic Council of Ministers, Owl Project are taking their innovative practice of sound art and making to Aarhus. Following on from the spectacular presentations and performances of DIEM alumni at North Atlantic Flux the Owls are carrying out a masterclass with DIEM followed by an evening of three unique performances. Owl Project is a collaborative group of artists based in Manchester, England. 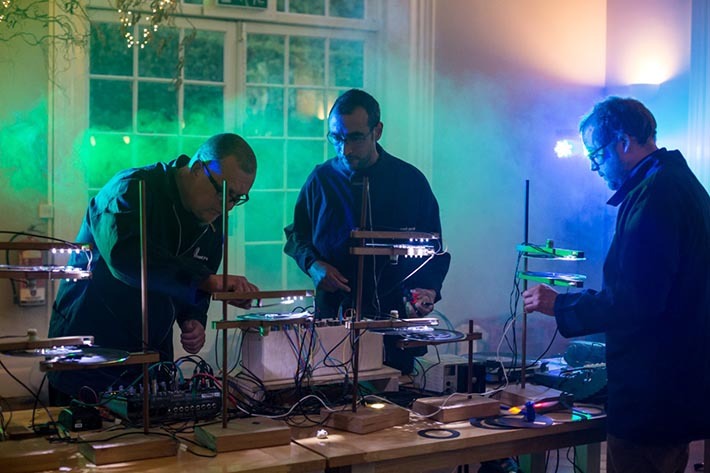 They work with wood and electronics to fuse sculpture and sound art, creating music making machines, interfaces and objects, which intermix pre-steam and digital technologies. More details can be found on the DIEM site.